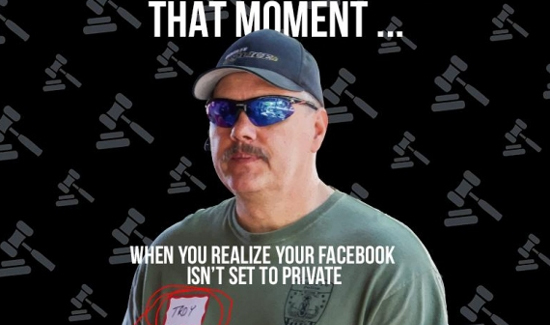 The Santa Fe Police Department’s internal affairs unit on Monday opened an investigation of the local police union president for incendiary posts shared on his Facebook page, including memes disparaging Muslims, African Americans and the transgender community. The investigation comes after SFR emailed Police Chief Patrick Gallagher seven screenshots taken from Sgt. Troy Baker’s Facebook page, representing just a small sample of questionable posts shared by the officer over several years. Baker has not been placed on leave. Baker, a 22-year veteran of Santa Fe city police, was elected president of the Santa Fe Police Officers Association about a year ago. The union represents roughly 150 sworn officers and civilian employees, according to Baker. Not every one of Baker’s Facebook posts expresses his political views. For example, he routinely posts memorials for fallen officers. He also occasionally shares personal news, including a photograph of the trophy he received after the Santa Fe Police Department awarded him 2016 Supervisor of the Year.